As we age, the body's natural supply of this vital carotenoid can decrease, especially if dietary intake is insufficient. 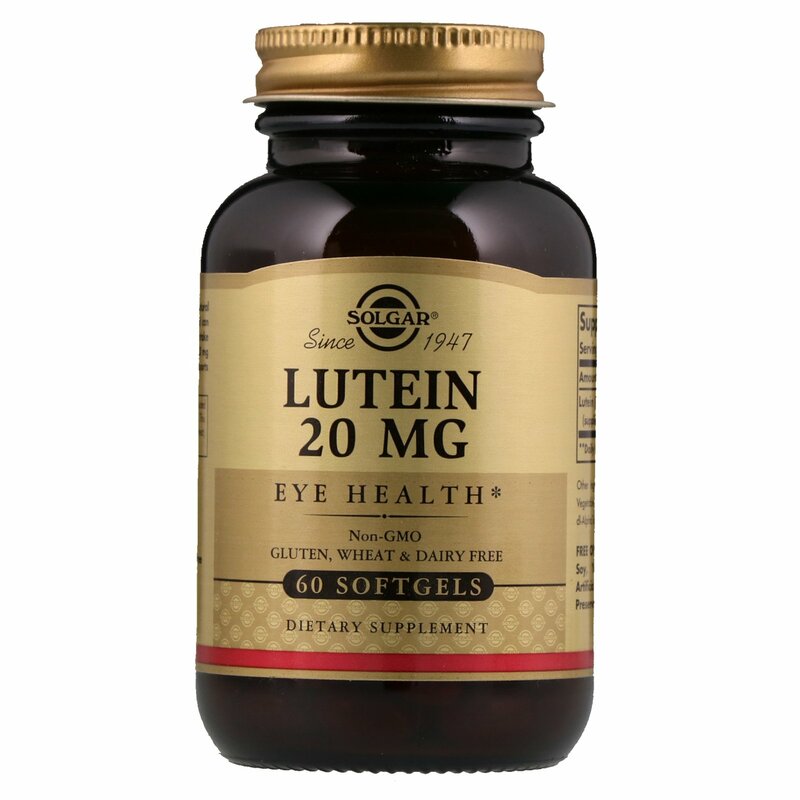 Solgar Lutein 20 mg nutritionally promotes and supports the health of your eyes. 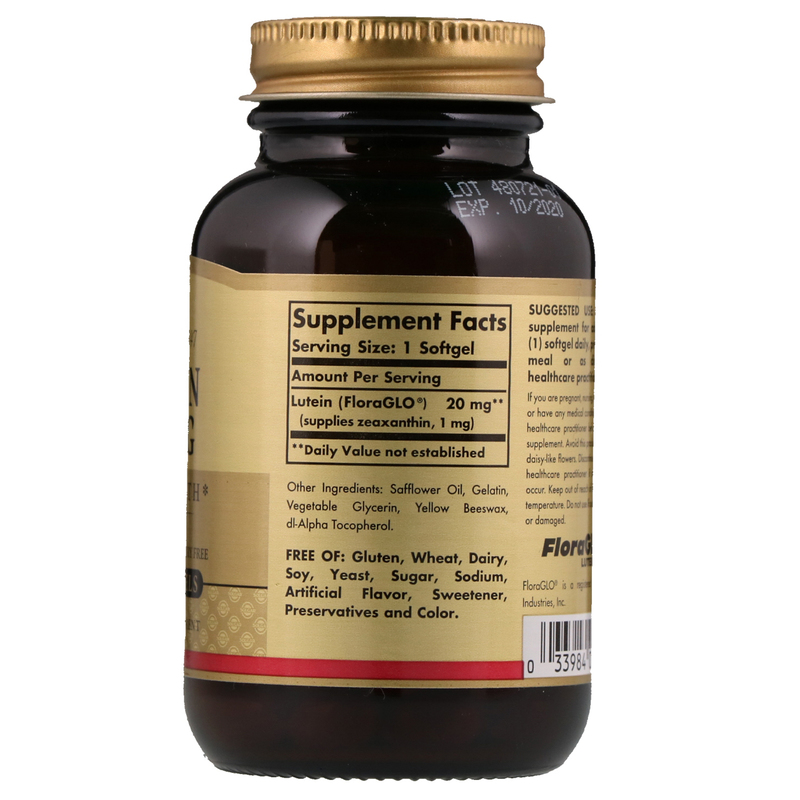 Safflower oil, gelatin, vegetable glycerin, yellow beeswax, dl-alpha tocopherol. If you are pregnant, nursing, taking any medication or have any medical condition, please consult your healthcare practitioner before taking any dietary supplement. Avoid this product if you are allergic to daisy-like flowers. Discontinue use and consult your healthcare practitioner if any adverse reactions occur. Keep out of reach of children. Store at room temperature. Do not use if outer bottle seal is missing or damaged.